SU Podium V2.5 Plus employs advanced rendering technology but sticks to it’s original intention: To make photo-realistic rendering for SketchUp an easy and rewarding task. The user interface is simply and does not require advanced knowledge of rendering techniques. Raytracing and Global Illumination: SU Podium uses a photon mapping algorithm that provides accurate raytracing and global illumination that yields beautiful, photo-realistic images. Although the user does not have to be aware of what technology is being used, it’s important to note that you can obtain high quality images with realistic reflection and lighting, quickly. 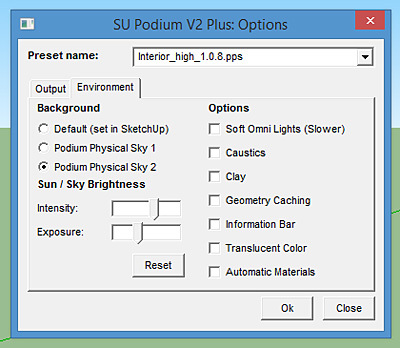 Cross-platform accessibility: SU Podium V2.5 Plus also supports 64 bit as well 32 bit, Windows or Mac operating systems, with support for all SketchUp versions SketchUp 8 – SketchUp 2015. Over 30,000 licenses have been sold. The Podium Materials category has cubes with Podium “render ready” materials on each of the cube’s faces. “Render ready” materials means that the materials have pre-defined reflection, blurs, refractions, bump maps and other Podium properties. These materials can be applied to any face within your SketchUp model to make the setup of your rendering environment very fast. The Podium Materials components are “clicked and dropped” into SketchUp like the light fixtures, furnishings and plants. When selected, a cube with a Podium material is inserted into SketchUp. You can use the particular Podium material on other faces in your model. To use the Podium materials on other faces, go to SketchUp’s Material dialog located in the Windows menu. From the SketchUp Material dialog, click on the In Model icon and then select a Podium material. Use the Paint bucket to paint SketchUp faces with the selected material. Also, you can use SketchUp’s eye dropper to quickly paint Podium materials to other faces. There are several Podium Material cubes in the Free library and and a growing number of hundreds in the Paid section. The settings icon opens the settings dialog. There are two entries: License Key and Insert Mode. The License Key is only needed if you purchased a Paid content license. You can ignore this if you only want to access the free content. The Insert Mode has Single or Multiple options. Single will allow you to drag and drop, one component at a time. Multiple will allow you to insert the same component in multiple locations in your model. Automatic Materials is an option introduced with SU Podium V2.9. It is available in the SU Podium Options dialog under the Environment Tab. When Automatic Materials is on, SU Podium understand that certain SketchUp standard materials will be assigned pre-defined Podium photo-realistic material properties. Using this option can save you time in applying good reflection, blurs, refraction or bump properties to materials if you are using SketchUp standard materials. Learn about Automatic Materials in the above video tutorial. You can also link directly to You Tube to get a larger resolution here. If you can not view You Tube, here is a link to Windows Media file that will be loaded into your browser. This model’s reflections was automatically applied. Click on image to view much larger resolution.When automatic materials is on, Podium will recognize SketchUp standard material names in a model and automatically assign pre-defined reflections, blurs, refractions and bumps to these materials. The Podium properties were pre-defined by Cadalog’s team of developers and testers. The list of SketchUp standard materials that will be assigned Podium properties is in the materials.csv file which is located in the SU_Podium_V2 \preset folder. However, we strongly recommend that you do not edit this materials.csv file for you may lose automatic materials. Once Podium recognizes a SketchUp standard material name, it will assign the Podium properties that are defined in the materials.csv file. For example, the brick_antique material in the SketchUp Brick and Cladding category is assigned a bump value of 80, automatically. What are SketchUp standard materials? Automatic materials only work with SketchUp standard materials. These are the .skm texture files found in the SketchUp materials browser. These are the materials that come standard with SketchUp. There are several categories of SketchUp materials. Note: The .skm files are compressed .jpg texture files that are located in the \Google SketchUp 8\Materials\ folder. Automatic material properties do not get saved to your SketchUp model. You can easily tweak the automatic material property settings or save the settings permanently, by click on the Apply button in the Podium material dialog. Once you click Apply, the Podium properties will be saved with the textures in your model. If you prefer to assign your own Podium photo-realistic properties to SketchUp standard materials, you can turn Automatic Materials off. Open the Options dialog and select the Environment tab. Check off the Automatic Material box. Very often, you will want to use higher resolution textures than what is available in the SketchUp standard material categories. For this reason, Cadalog has made available free texture libraries in the SU Podium Browser. However, these textures do not have automatic materials assigned to them. You will need to Apply your own Podium properties to any texture/ material imported into SketchUp. 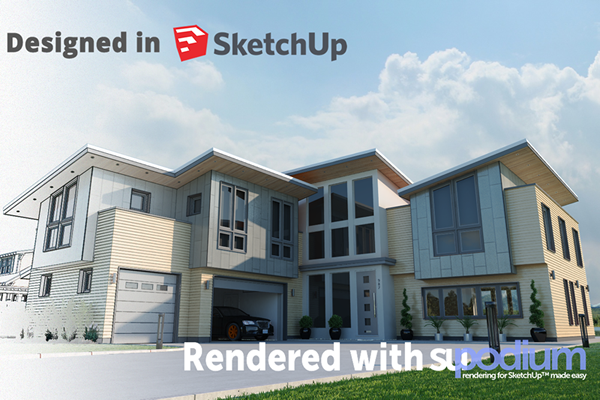 In fact, many 3D Warehouse models that you will import will not have SketchUp standard materials. Furthermore, the Podium Materials in the Paid section of SU Podium Browser do not have automatic materials assigned to them. As with all materials in Podium, it is a good practise to place the material on the front side of a SketchUp face. This video introduces you to the basic features of SU Podium V2 including raytracing, global illumination, blurred and direct reflections, physical sky, refraction, caustic effect, automatic materials and SU Podium Browser. This is not a tutorial but a quick overview of what you can expect from SU Podium V2. Resolution on this video is 480 X 360 and is embedded in this page. Sun and Sky Light – Natural lightsIn SU Podium V2, there are two types of “natural” lights. Sun and Sky. Take a look at how to apply these lights. Applying Podium propertiesIn SU Podium V2, reflections and other rendering properties are applied to textures in the model. This video examines how to apply reflections. LEM LightingIn SU Podium V2, there are three types of “artificial” lights. This video tutorial presents LEM lighting. Omni Lights, Spot Lights, Light Fixture librariesThis method uses an inferencing system which makes placement very intuitive. These video tutorial demonstrate how to create omni/ point lights and spot lights. Automatic MaterialsAutomatic materials is a feature where predefined Podium reflection, blur, refraction properties are applied automatically to most of SketchUp’s standard materials. SketchUp standard materials are the materials that you get when you install SketchUp. SU Podium V2 Plus – Podium Image EditorPodium Image Editor is a new feature of V2 Plus, a free upgrade for V2 users. It provides post-processing, image editing to quickly edit your rendered image within SketcUp. A four part video series that explorers designing with Podium Browser render-ready components and visualizing with Podium and Podium Walker. A full kitchen/ dining room designed from the ground up in SketchUp using Podium Browser components and visualized with SU Podium V2. Nat Ellis’ beautifully presented model is turned into a video with several design stages presented to the viewer. Podium Browser is a plug-in for SU Podium V2. It contains a Free content and Paid content. The thousands of pre-defined podium materials, advanced light fixtures, furnishings, 3D trees from the Paid section, can quickly turn your SketchUp model into a photo-realistic image. Podium Browser’s user interface has changed with Podium Browser 2. SU Podium Browser is a plug-in for SU Podium V2. It contains a Free section and a Paid section. The thousands of pre-defined podium materials, advanced light fixtures, furnishings, 3D trees from the Paid section, can quickly turn your SketchUp model into a photo-realistic image very quickly. Podium Browser: Designing bathrooms in SketchUp? We got you covered! SU Podium Browser Paid Section now has thousands of render ready materials and components that make interior and exterior design easy to develop and even easier to turn into realistic images. This video tutorial examines materials and components that make modeling and rendering a bathroom a snap. 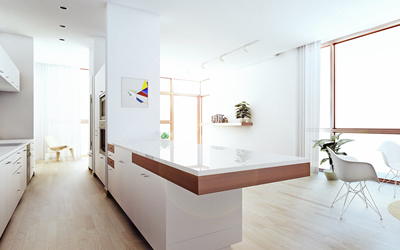 Podium Browser: Designing kitchens in SketchUp ? We got you covered! SU Podium Browser Paid Section now has thousands of Podium render ready materials and components that make interior and exterior design easy to develop and even easier to turn into realistic images. This simple tutorial will show examples of Podium Browser kitchen design components that can be instantly dropped into your SketchUp model and turned into high quality images. SU Podium Browser material section now has hundreds of Podium Materials that are material files with Podium render-ready properties on them. Podium Materials are dropped in to SketchUp as cubes. How and why does that work? This simple tutorial will show how the material cubes work and how easy it is to get high quality render ready materials into your model. Podium Browser Auto-cut Recessed Lights. All of the recessed lights in Podium Browser use SketchUup auto-cut feature. These auto-cut holes in the ceiling and walls for the recessed lights to be placed in. Adjusting light power in light fixtures. How to use the Omni Grid plug in. This video is based on Podium 1.7 but it essential the same for SU Podium V2. This examines how to apply the Omni Grid free plug-in. 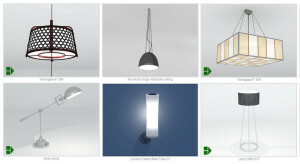 All the lighting in the image on the left was created by Omni Grid.Omni Grid can be downloaded from the Download Page. 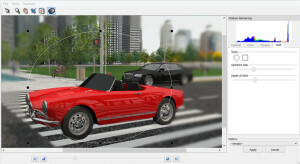 Create photo-realistic video animations using Podium’s Render All and SU Animate. Click on the image on the left to view the detail tutorial. delve into some basic post-processing, and discuss how we can add “light bloom” to a Podium render. Light bloom is used quite frequently in modern architectural visualization, and when applied correctly it can liven up an image with very little effort. Our Podium Browser light fixtures are calibrated according to manufacturer specifications to provide natural, realistic results right out of the box. However it’s always nice to know how to make small tweaks when necessary to help you achieve a perfect lighting solution. In this quick tip, we cover light power and explain the process for adjusting the brightness of a Podium Browser light fixture. Lighting up exteriors and interiors: SU Podium V2.5 has two types of natural lights. Sky and Sun. These are both “exterior” lights but will have a lot of effect on interior renderings if you are using windows and openings to the exterior. Sky Light: – Sky light is an ambient light source applied evenly to the entire SketchUp background sky. Sun Light – Sun light is a directional light source that uses SketchUp’s sky and shadow settings (SketchUp shadows must be turned on). The sun’s brightness, exposure, and shadow direction can easily be controlled by changing SketchUp’s time of day and year in the Shadows dialog. When sun light is on, you can use Podium’s Physical Sky to create a realistic sky background with atmospheric qualities such as turbidity and realistic tonemapping. Omni & Spot Lights Omni light or Point light is an artificial light source which emits light uniformly in all directions, similar to a light bulb. To insert an omni light or point light, click on the point light icon in the tool bar and drag an omni light into the model. 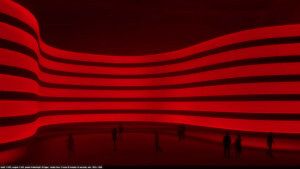 The omni light/ point light is a SketchUp group called a light group. You can see the light group in SketchUp’s outliner. LEM Lights: Unlike Omni and Spotlights, Podium LEM materials use actual SketchUp geometry to cast illumination into a SketchUp scene. LEM materials can be applied to any face in your SkethUp model an used as a visible illumination source (like a lightbulb, neon sign, etc. )Hidden LEM: LEMs can also be made invisible by checking the hidden LEM option in the material editor. Hidden LEM lights will still cast light into your SketchUp scene, but any surface with a Hidden LEM material applied will be invisible in the rendered image. This is a powerful feature that lets you hide the light source but creates an evenly distributed light, and is extremely useful for creating behind camera “fill lights” to fine tune your lighting. Podium Browser Light Fixtures: SU Podium V2.5 comes with a companion plug-in called the Podium Browser. 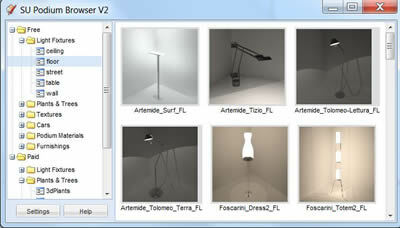 Podium Browser provides hundreds of free, render ready light fixtures that have artificial point and spot-lights carefully configured for accuracy, and ready to render.Using these render ready light fixtures can greatly reduce the time involved in setting up the SketchUp model for interior lighting. Podium Browser also has a Paid content section that includes hundreds of additional light fixtures and thousands of render-ready design components. Resolution and Image format – Podium allows very high resolution size for the rendered images depending on your system memory. (The current limit is 9,999 X 9,999 pixels.) However, the trial version has limited resolution sizes. Fixed resolution options include presets for 230X150, 640X480, 1024X768, 2048X1536, 3076X2304, 4076X3304, and widescreen resolutions of 852X480, 1600X900, 1920X1080. With the custom option selected you can set any resolution and aspect ratio of your choosing. 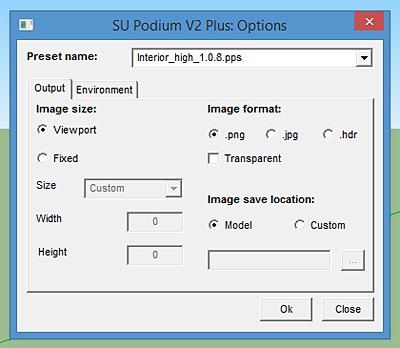 Image Formats – SU Podium V2.5 gives you the option to choose PNG/JPG/HDR as saved image formats. You can save your images to a folder of your choice if you choose Custom, otherwise rendered images will be saved into the same folder as your SketchUp model. Transparency – With the PNG format on, Transparent will create rendered images with alpha transparent backgrounds so that you can easily add your own sky background image to rendered .png file in an image editor program. This feature can save you a tremendous amount of time in post-processing. Render Presets: To simplify the process of getting started with SU Podium, the plugin comes with several presets that have been crafted to match certain rendering environments. Presets were created to provide high-quality results without the user needing to spend hours configuring hidden variables like Physical Sky’s turbidity, ray trace bounces, amount of ambient light, tone mapping variables, anti-aliasing, etc. The presets provide a base from which the user can carry out further configurations, adjust brightness/exposure, or even modify the presets themselves using the Podium preset editor . Using SU Podium’s presets, you can quickly set up a rendering environment that is best suited for either exterior or interior scenes, and then adjust the lighting to your liking with the Podium light system. Default (set in SketchUp) will use SketchUp background color and/or SketchUp Sky settings (set in your SketchUp Style) for the rendered image’s background colors. Clay – Clay is where textures are ignored and the entire model is rendered in the default, front face color of SketchUp – like a clay model. Increase your efficiency with Podium Browser: SU Podium Browser is a growing library of render ready components that can be dragged and dropped into the SketchUp model and then rendered. Podium Browser paid content: Podium Browser also has a rapidly growing paid library with thousands of additional components, including advanced 3D plants and trees, a huge selection of light fixtures, advanced Podium Materials and thousands of render ready household items like furniture, bathroom items, exterior items and more. Paid content is continuously added, usually with a few hundred additions per month. You can view the Paid content images in the Browser freely, but you will not be able to “click and drop” Paid content into SketchUp without an active Paid content license. 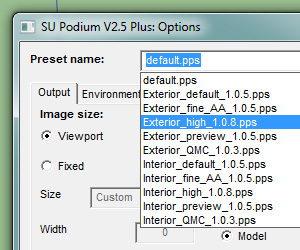 Post Processing with Podium Image Editor: PIE is part of SU Podium V2.5 Plus. It was created so that Podium users can do quick post processing or image editing of Podium rendered images. Post processing means making changes to the bitmap image created by Podium. For example, editing the light levels, brightness, cropping the image, adding a background to alpha transparent image, create Depth of Field areas, adding an overlay and blending are some of PIE’s features.